Master for Minecraft- Launcher APK has been released and you can download the latest version 2.1.28. 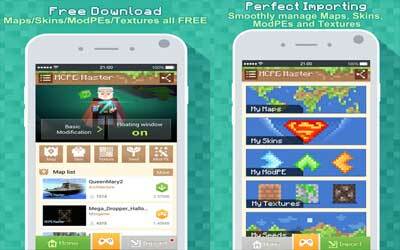 Tools which is known as “MCPE Master” is the most popular launcher for Minecraft gamers. There are some launcher which are very popular like Block Launcher and also this launcher but from some players say that this app is the best. You may ask, what is minecraft? Minecraft is a sandbox game that can destroy or placing blocks to build anything we want as our own creativity and imagination. At first the crafter must build a shelter to protect themselves from attacks monsters that usually appears at night. But because of the growing game Minecraft, now players can cooperate with other people or friends to create more beautiful things and imaginative in the world of Minecraft.